This month saw the passing of psychologist Walter Mischel, best known for his famed “marshmallow experiment” on delayed gratification. As one of the most-cited psychologists of the 20th century, Mischel often shared his wisdom on PBS, NPR, and even The Colbert Report. The marshmallow experiment involved offering young children a choice between a single marshmallow immediately or two marshmallows if they could wait 15 minutes. According to follow-up studies, the children able to wait for the two marshmallows performed better later in life across an array of success indicators like SAT scores, maturity, and rates of substance abuse and obesity. The marshmallow experiment became a symbol of the power of delayed gratification for life success. Recent research has questioned the conclusions of Mischel’s experiment, instead finding that factors like family background, environment, and intelligence — as opposed to whether a child can resist a marshmallow at age 5 — explain the correlation between delayed gratification and future life success. But the fact remains that delayed gratification, whatever its source, is an essential skill for life success. People often associate delayed gratification with willpower. Indeed, children undergoing the marshmallow experiment are known to squirm, wriggle, scrunch their faces, kick the table, and pet the marshmallow — anything to muster the iron will necessary to resist the treat. But delayed gratification is much less a product of willpower than good habits. Research indicates that those who exercise the most self-control are those who face actual temptation the least. For example, the best way to avoid eating sweets is not to resist the chocolates in your cupboard but to not keep chocolates in your home at all. Good habits and planning your environment go further than willpower in achieving self-control. What does this mean for your finances? For starters, don’t rely on willpower for achieving your money goals. Instead spend that energy reshaping a single healthier habit next month. Check out my review of Better Than Before by Gretchen Rubin if you need some ideas and motivation. And it always helps to keep a broader why in mind when you’re working hard to uproot a bad habit and replace it with a better one. This opinion piece chronicles the author’s dive into a lifestyle of thrift and minimalism, complete with bargain grocery shopping as sport and a switch to cheap wine. The result? 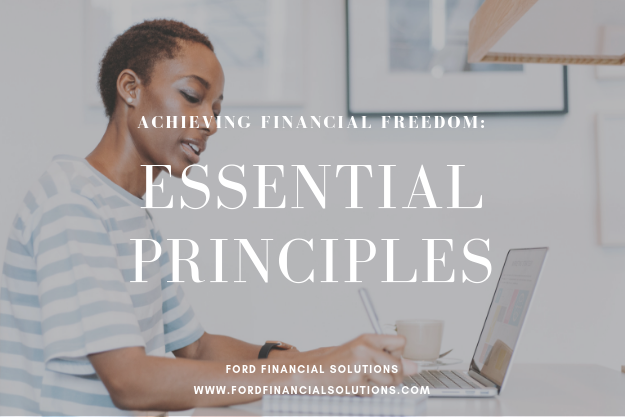 After four months of learning from the thrifty and living more frugally, the unexpected consequence is that it has not just reduced my spending but has also improved my quality of life and satisfaction with life. Less time shopping for new consumer durables to bring into the house means more time enjoying and caring for the things we already have. More time is spent doing rather than acquiring, cutting flowers from the garden rather than buying them from a shop, cooking from scratch rather than ordering takeout. Living below one’s means, the author points out, also has widespread societal benefits, like the ability to give to the needy and the reduction in the burden on the environment.